Netflix is the fantastic service that allows live streaming of your favorite shows, movies, documentaries and so much more! With Netflix you can get the top titles delivered right to your home, mobile device or computer, Instantly! Have you tried Netflix? If not here is your chance! 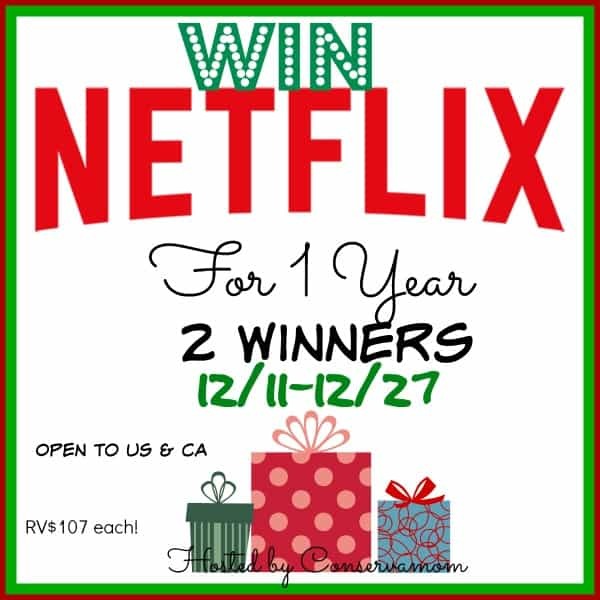 Two lucky winners will each get a year subscription for Netflix streaming to their home. So you can catch up on all your favorite movies,TV shows and more! This giveaway ends on 12/27 at 11:59 pm. My favorite Christmas movie is Christmas Vacation. Watching it together is a holiday tradition in my family. Elf! I just love anything Will Farrell.